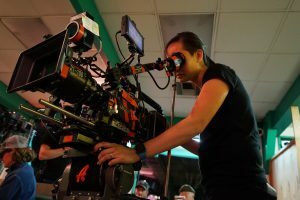 This week, we’re profiling Camera Operator, Yvonne Chu, who worked on the upcoming TV series, NOW APOCALYPSE alongside Cinematographer Sandra Valde. 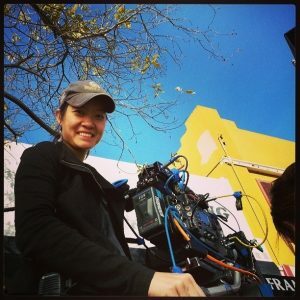 Read on to learn how Yvonne’s journey in movie and TV making came to be. Plus, we’re thrilled that Yvonne will be one of our featured guests at our Sundance Open House panel on January 27th. As an Operator I usually watch previous projects and reference pieces to get the feel of the project. For example, for NOW APOCALYPSE I watched a few things off the list of Gregg Araki’s previous projects and could tell that he liked symmetry and center punching. Which helped me get on the same page as him faster. I’ve always been a fan of Wong Kar Wai. The visuals and the pacing of his films have always spoken to me. Lately I’ve been loving a lot of the work on TV. It’s definitely the golden age for it. THE HANDMAID’S TALE in particular is so interesting in the way they choose to frame things. I’m always wondering how they decided to come up with so off angle, but beautiful shots. Tell us about NOW APOCALYPSE and collaborating with WiM member Sandra Valde. NOW APOCALYPSE was the first time I worked outside my normal crew as an operator, which made for a great learning experience. Collaborating with Sandra was awesome. I was nervous in the beginning since it was my first time working with her, but it turned out we understood each other pretty well. I remember there was a point where I said “The voices in my head are saying…” and she turned to me and said “Really?… your voices are the same as my voices.” That’s when I knew we got each other. It was great working with another woman in the department. It happens so rarely and it was nice for her to understand what I was dealing with and vice versa. Having her there to back me up, when needed was great and I hope I helped her when she needed it. I’ve always loved movies. The good and the bad. I never really thought about turning it into a career until one of my good friends from high school told me he was going to college for film. I decided to try my hand at it and won an award at a film festival and used the same film to get into NYU. The rest is history. I really like ARRI cameras, but as an Operator you aim the lens the same way on most cameras. I’m a big nerd.  I love to read Science Fiction, watch anime and play video games. I’ve been doing a bunch of commercial work. My next TV show is supposed to start up in February.